I like crisp and clean - white lights always work. The coloured ones just don’t do it for me. I also like simple, regular lights - not dripping icicle lights. They look nice at night but not in the daytime. I also like to see the lights on the whole roofline. They have to be straight or they drive me crazy. Yes I know - my poor husband. We now hire someone to put them up. Saves on the holiday bickering. Metals add that touch of glamour. I am partial to gold right now, even though I spent so many years avoiding it. I love the warmth of gold and now can take my time enjoying it. I like to see it on my Christmas tree in specialty ornaments or even the garland. I also look for great stocking hooks and table centrepieces. Don’t add too much or it can come off looking a bit Las Vegas. 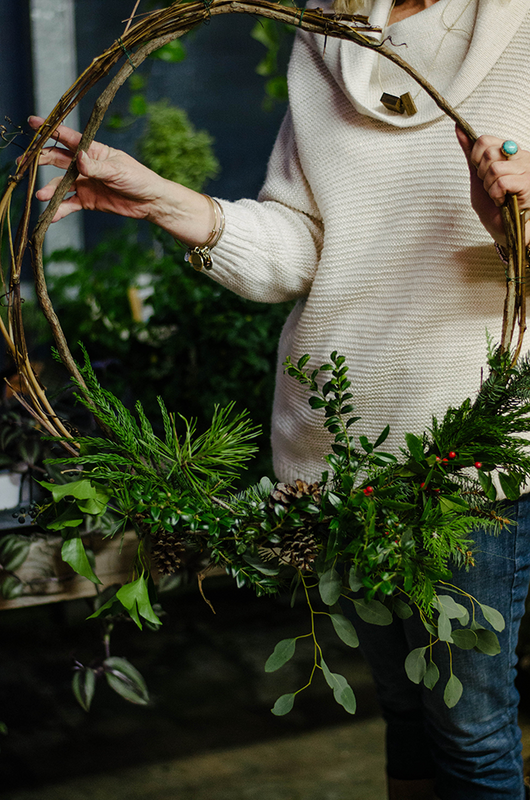 I know it’s a splurge, but nothing takes the place of a natural wreath (this from a woman who uses an artificial tree - I hate the upkeep!). Your local nursery or florist would be your source for them, or even try a DIY!! I like to see a little green when the snow is everywhere. It just feels festive. And this year, we're really loving the unconventional wreath! This truly is, the poinsettias are the only plants I can keep alive. And I love the brilliant red ones. I wish they could be popular all year long. I’m going to work on that! 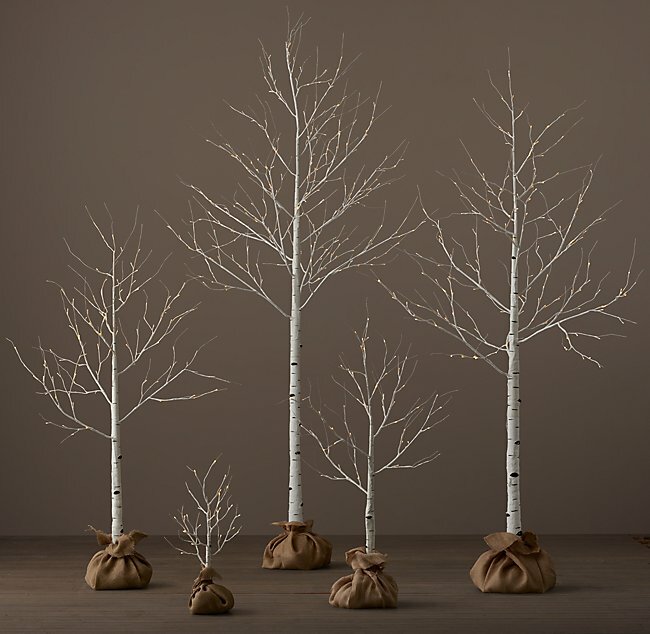 They are my go to for table centrepieces or shelving beside a fireplace. We spent Christmas in Florida one year and Disneyworld had these amazing poinsettia displays everywhere. I have not figured out how to accomplish that in the cold Canadian winter. I’ll work on that too!